I have a lot of hobbies from jewelry making to reading, writing, and traveling, but blogging has really taken the spotlight lately. I love the idea that I can raise money for my family while donating to charity (Ok it's slow going, but it's going!) I also love that I can connect with so many fascinating people. I've met other bloggers online and face-to-face and truly enjoy each one of them. Recently at the Social Media Mom's Mixer in Philly, I met a new blogger friend, Lauryn who is the author of The Vintage Mom. 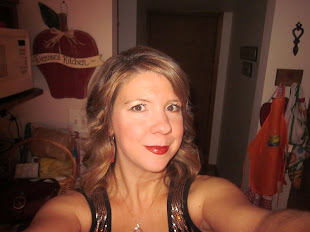 She is the sweetest and she has created a guest post for me just in time for the holidays. 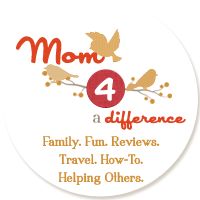 Read more about the frugal, yet thoughtful, gifts she recommends giving. An “Our Stories” book: Get a three ring binder and fill it with page protector sheets. Then write stories about your family to your children, grandchildren, or great-grandchildren throughout the year. Now they have a place to put them where they can cherish them forever. ***My children received this book last Christmas from their great-grandmother and it is one of their favorites. We look at it and read it often. Mini Scrapbooks: Every year for Christmas I give my parents and my in-laws an 8x8 scrapbook filled with pictures and stories from the last year (mostly about the kids). If we had special adventures or trips that we took with their grandparents, I devote a few more pages to that. They appreciate having copies of the pictures and written memories with quotes from the children. They always show it off to their friends all year long. I LOVE creating these because it takes me through the past year and I get to relive those memories. 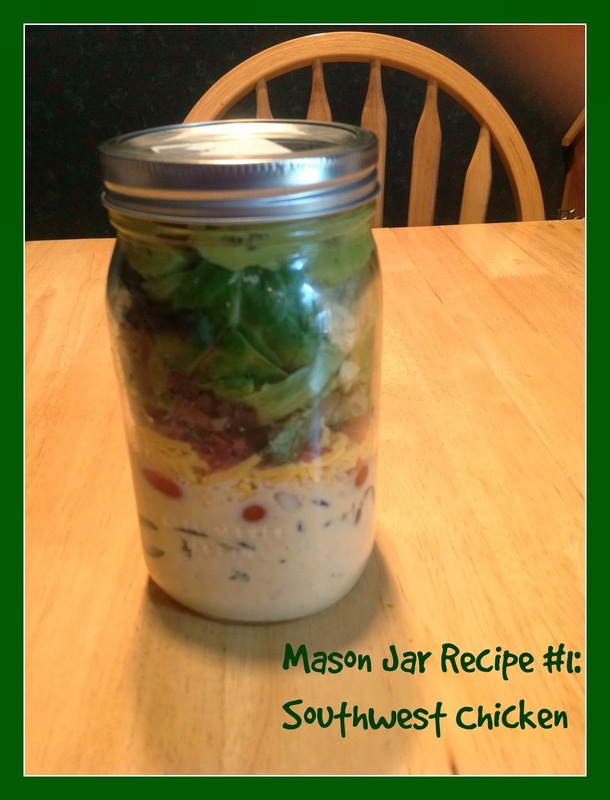 Jar mixes: A few years ago for a teacher’s gift, I filled a Ball jar with the dry ingredients for Pumpkin Scones from a recipe that was in a magazine that I adore. I had a large gingerbread man punch and punched out Christmas themed paper that I wrote the recipe for these scones on. The teachers absolutely adored making these delicious scones that winter and they gifts looked beautiful too! I Love You Because Box: Grab an index card box and a pack of index cards and get writing. I had the kids join me. On one side we wrote, “I Love You Because”, and on the other side a reason that we love my husband or they drew a picture about why they love him. He LOVES picking out a card each day at work and reading our special reasons. We give him refills from time to time, too! Craft kit: For that child that loves to create, put together a kit for them filled with the tools to make something. My daughter is one of these craft kids. Last year she was really into scrapbooking, so I made a kit with everything she needed to create a scrapbook. This year I am putting everything to embroider a mini change purse in a kit. And for my son, I am putting together one so that he can build his own snowman (a piece of felt for the scarf, large buttons, a plastic carrot that we had, and pieces to make a pipe). I also like to make sure that I get down with my crafty side during the holiday season. If you love to knit, cast-on a lovely hat or some mittens. If you love to sew, why not sew up an apron for the special cook in your life or maybe a dress for your little one? If you love to craft in general, make up some easy earrings or a necklace for the person that loves to accessorize! Here are some easy, everyone-can-make-them earrings to try: Resin Rose Earrings. So, be creative this year when you are thinking about what to buy for people. Use your talents. I am sure it will be much appreciated, maybe even more so than that expensive gift that you may have felt an obligation to buy. Your loved one and your wallet will thank you! Lauryn writes at The Vintage Mom. She is a mom of three vivacious children and wife to one extremely vivacious husband! Lover of knitting, running (although mostly after little ones right now), the color orange, fun accessories, fall, tea, and a clean kitchen floor. She spends her days in awe of her family and trying to teach her three to treat others as they would want to be treated. Great, fantastic, beyond awesome ideas! I'm stealing the I Love You box for my dh who doesn't always feel appreciated by his family. Awesome! We could do this for Christmas and another update for Valentine's Day! The I Love You Because gift is so cute! We send videos to my husband each day on the phone so that he can see our little one during his workday. I should compile them at some point to make a DVD to watch her grow.